Welcome to the PxCad Online Shop. There are a number of product options available please refer to the Product List below to make your preferred selection. 1. Select the products you wish to purchase from the pull down list. 3. Add the items to your cart. 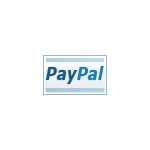 You can pay for items using your Visa card Master Card or through your PayPal account. Once your order has been processed you will be emailed a product key and your subscription on the server will be updated. It's easy to make a donation to PxCad. Quantity is a required field. Quantity must range from 1 to 500. Donation (AUD) $: Donation is a required field. Your donation must range from 2 to 1000000. Product Key is a required Field. Input valid product key! Email: Email address required Input valid email address!